The World Health Organization is dropping its sugar intake recommendations from 10 percent of your daily calorie intake to 5 percent. For an adult of a normal body mass index (BMI), that works out to about 6 teaspoons -- or 25 grams -- of sugar per day. Many people don't realize much of the sugar they take in are "hidden" in processed foods, according to WHO. A can of soda may contain up to 10 teaspoons or 40 grams of sugar. A tablespoon of ketchup has 1 teaspoon of sugar. The Food and Drug Administration and the White House hopes to make Americans more knowledgeable about how much added sugar they are taking in by updating the Nutrition Facts Labels to include total and added sugars. 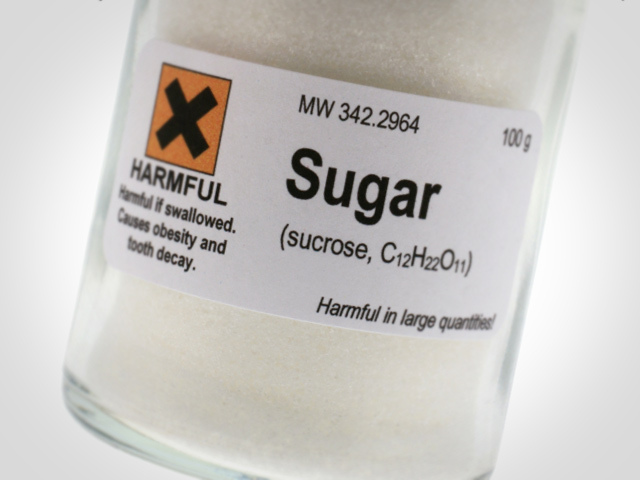 The WHO's recommendation applies to sugars including glucose, fructose mad sucrose (table sugar) that are added to food by cooks and manufacturers, and occur naturally in fruits, honey and syrups. The WHO's draft guidelines were released March 5. They were opened up for public comment through March 31, 2014. The American Heart Association recommends limiting sugar intake to no more than half of your daily discretionary calorie allowance: No more than 100 calories per day for women (about 6 teaspoons) and no more than 150 calories per day for men (9 teaspoons). Studies show that people who consume many foods and drinks with added sugars tend to consume more calories than people who don't eat much of these foods, according to the National Institutes of Health. Cutting back could help you maintain a healthy weight, and reduce risk for diabetes, heart disease, and other obesity-related health problems.